Thank you for the kind comments yesterday. I feel like a goober. Duh, mop bucket! 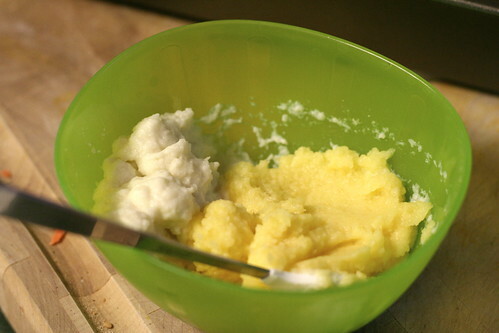 Anyway, today is more adventures in homemade baby food: cooking spaghetti squash. Here's a little perspective. 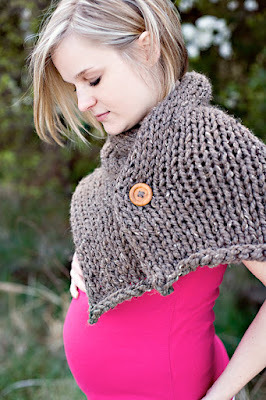 This was me pregnant at 22 weeks with Sweet P. Supposedly, she was the size of a spaghetti squash. 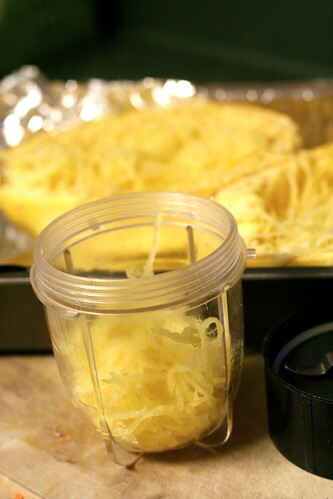 Anyway, around here we love spaghetti squash. I've cooked it a number of ways from microwaving to baking. As a side, it's easier and faster in the microwave. But for last night's dish, I baked it. I cut it in half, removed the seeds, put a little butter and salt in each half and baked it for 40 minutes at 375 degrees. Meanwhile, I browned some hamburger meat and added some spaghetti sauce. Once the squash was done, I just raked a fork all over the inside and then poured the meat sauce directly on top. Then I had to top it with some cheese! 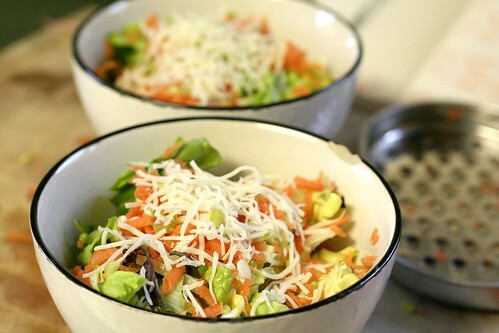 Add a little side salad and your meal is complete! Sweet P got spaghetti squash too! I just took some of the strings and put them in the Magic Bullet and bada-bing. Baby food. 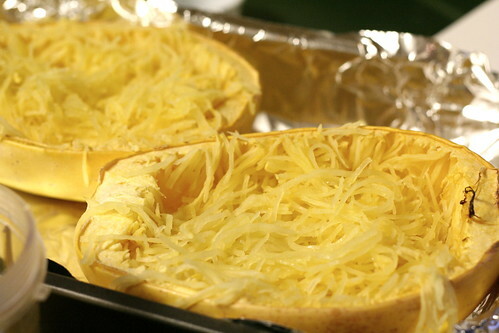 I'm curious, how do you cook spaghetti squash? I'm intimidated by squash. I tried to cook butternut squash once and that was a terrible disaster. 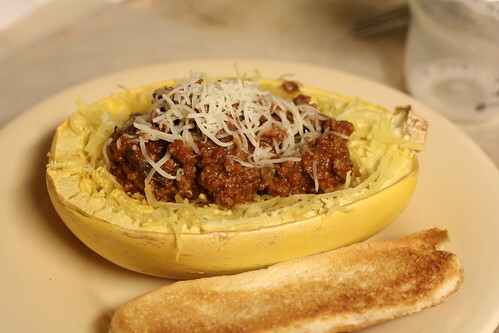 Your spaghetti squash looks really good. i might have to muster the courage to try to cook it! Do you just use the regular magic bullet or do you have the baby bullet? I'm planning on making my daughter food when she becomes of age, & I was going to get the baby bullet - but if the magic bullet works just as good for baby food maybe I will swing in that direction due to being able to use it for more! Anna, don't be intimidated! I found what works with most squash is to microwave it for 30 seconds (just to get it a little tender to cut through) cut in in half, then put in a pan (cut side down) with about an inch of water and bake at 400 degrees for 30 min. Tender and not dry. Brooke, I just have the regular MB. It works like a champ. I pretty much only use it for baby food now. And thanks for the sweet comment! OK. Dumb question. Do you only eat the insides or do you eat the peel as well? I cook summer squash all the time but have never tried this kind. I'm stoked! Ang, not a dumb question. I don't really know. Not sure if other people do or not but we don't. The peal on spaghetti and acorn squash are really tough so we just eat the insides. Lesley! I made this! It was so, so yummy that I blogged about it (I gave you props). Thanks so much for sharing this! Ang, that is awesome!! Can't wait to check out the post!